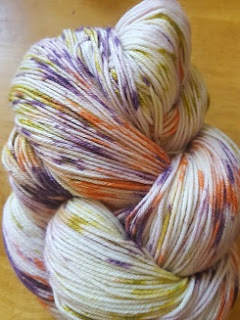 Lorna’s Laces are the newest addition to the shelves of Spin A Yarn. Joyce chose their hand-dyed Shepherd’s Sock range as she loved how their fresh, bright and contemporary range of colourways shine on their beautiful quality sock yarn. We know this company is new to many of you, so we asked owner Beth a few questions – and hope you enjoy her replies! 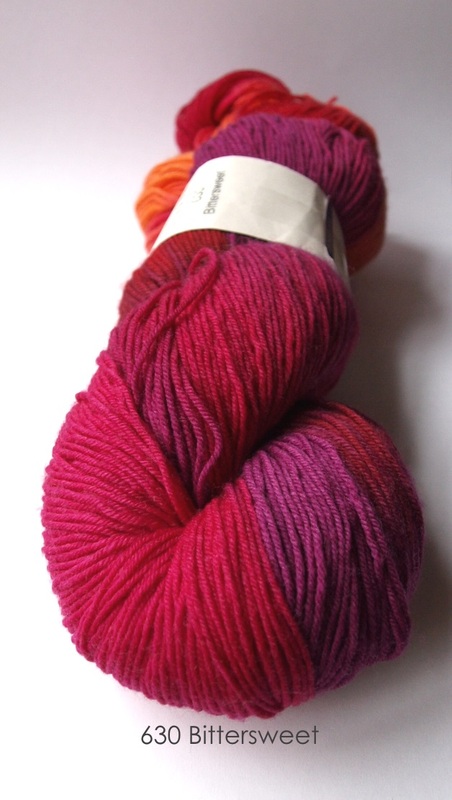 1) How did Lorna’s Laces come about – how did you get into yarn dyeing? How many people now work with you? 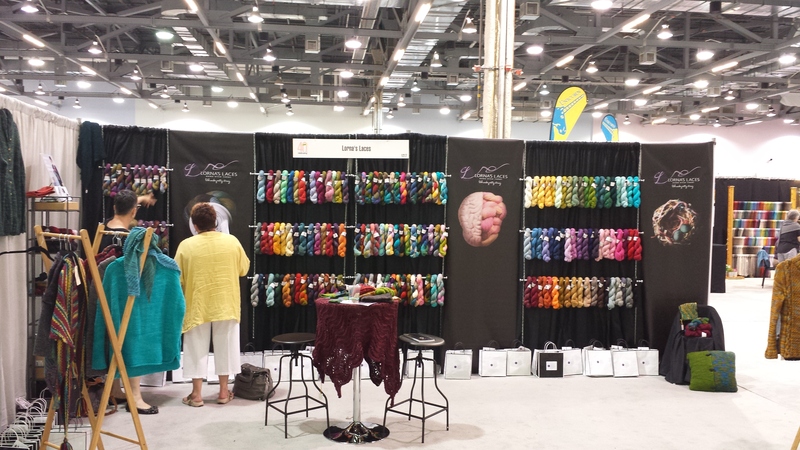 Lorna’s Laces began life on a small hobby farm in California in the 1990’s. The original owner had a couple of sheep and a few angora rabbits whose wool she spun and dyed. 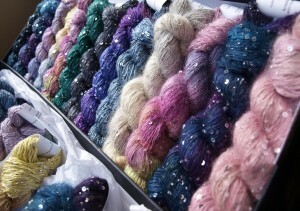 As time went on, she began buying commercially available yarn and dyeing it for her local market. And people loved it! 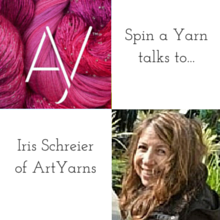 Slowly but surely, the yarn became more well known and the company grew. 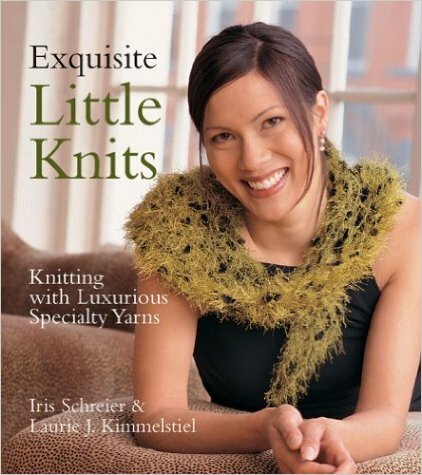 But, her true love was designing patterns rather than dyeing yarn, so she decided to sell the company. That’s where I come in. I worked for many years in publishing. It was a great job, but I knew there was something missing, passion. I left that job in 2000 and went on a search for it. I studied bread baking at the French Culinary School in Manhattan and worked some odd jobs here and there, but nothing was quite right. Maybe I should back up a little here and tell you how I came to become a knitter. I don’t have the classic story of learning from my mother or grandmother. When I first started that job in publishing, I had just moved to a new city and didn’t know a single person. I worked from home, so things were very lonely. One day, I met with two of my colleagues and they were both wearing hand knit sweaters. I was intrigued. So, the next day, I went to my local yarn store and signed up for a class. I was immediately hooked. 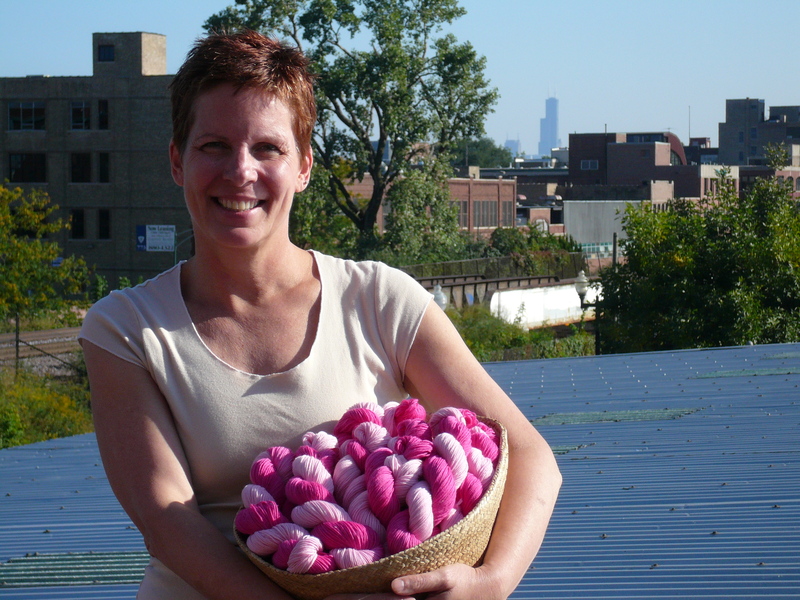 Not only did I love to knit, but I had found my community. I wasn’t lonely anymore. I was home. So, we’re back to the part of the story where I’m tying to figure out what was going to be next for me in terms of work. It is the fall of 2002. 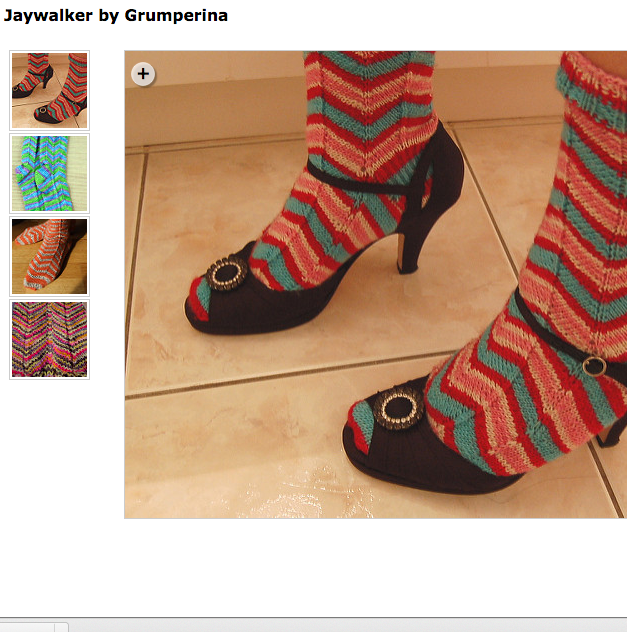 One evening I was thumbing through a knitting magazine and ran across one of those small classifieds in the back. There was a yarn company for sale and I replied to the ad. We spent the next couple of months negotiating the contract and in January of 2003, I became the owner of Lorna’s Laces. We are not a big company, just seven of us. We all wear many hats. You likely to find me answering the phone or up to my elbows in dye. It’s all in a days work. Colorways come from many places, but mostly from keeping my eyes open and paying attention to the world around me. Let me give you a couple of examples. – One Fall evening I was walking home and noticed a big terra cotta pot of yellow and orange mums on a neighbors porch. 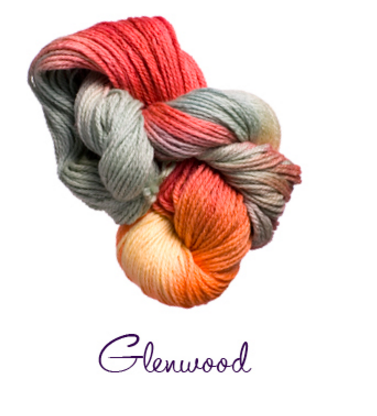 The next morning I went into work and put dye to yarn and created Glenwood. It’s a lovely multicolor with orange and yellow for the flowers, a sage green for the leaves and brick for the pot. – Another time I was shopping for bath towels. Instead of walking in and just grabbing the color I needed, I stopped and really looked around at the way the different colors played against one another. Some of them spoke to me and a 10 minute trip turned in an hour. I moved things around, made piles and more piles, took some pictures and put everything back. That trip gave me inspiration for a few different colors. – The last thing I want to share with you is the power of serendipity. We had a batch of a color that turned out badly. Some yellows and purples got mixed up and looked just awful. They were so bad that I didn’t even want to throw them in the millends box. I had some leftover dye from another color I was working on. I just poured them all together and tossed in the ugly yarn. Lo and behold, Lakeview was born. I had to do a little reverse engineering to figure out how to recreate it, but it was worth it. Lakeview is always one of our top 10 best selling colors. We really try and have fun with the names. We generally pick a scheme for the season and go around the table and everyone gets to pick a color and match it to a name that fits the scheme. We’ve done Gentleman’s Haberdashery, Favorite Chicago Landmark, Chicago Mayors, Silly Monsters…. 3) What’s your favourite base yarn to dye, and how do you go about selecting unusual new yarns and fibres to add to your collection? That’s a bit like asking “which is your favorite child”? Can I pick two? 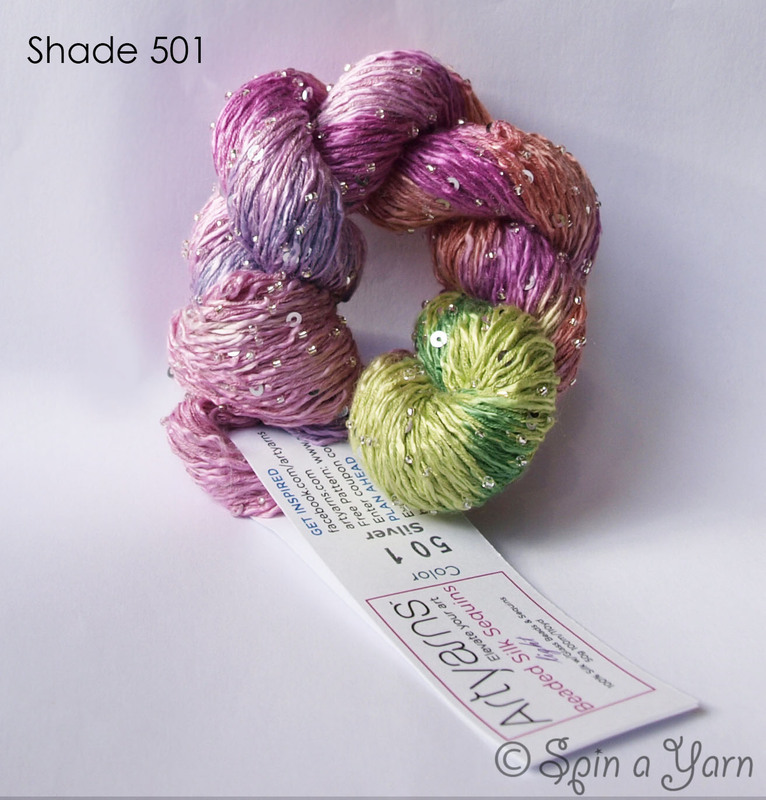 I love dyeing Shepherd Sock because it behaves very well. It’s the child who does what it is supposed to and is a bit predictable. It drinks up dye and almost always turns out the way it is supposed to. Haymarket [single ply 100% Bluefaced Leicester wool] is a bit more feisty. Colors are bolder and even though we sometimes get a surprise that extra depth of color is always worth it. 4) Is there a style of dyeing you most enjoy? We love your speckle and splatter shades and think they must be great fun to create! Right now, I really enjoy dyeing SplatterShot!. I think that’s because it is new and a bit of a challenge. I have been doing the traditional multis and nearly solids for over a decade and this brings something fresh and fun to the day. 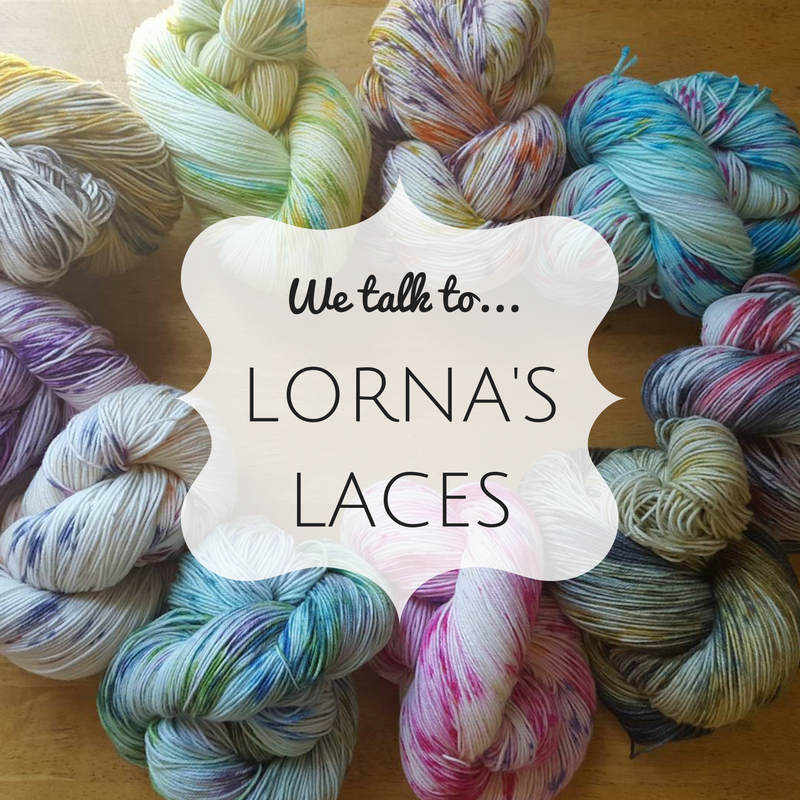 5) For a customer new to Lorna’s Laces and wanting to try them out, what would you recommend as a great project to showcase one or two skeins of your yarn? There are a few things that have caught my eye lately. 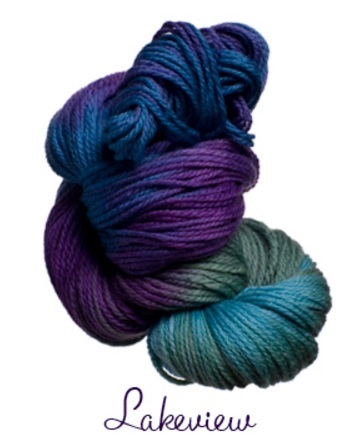 Reyna from Noora Laivola is a lovely shawl that makes multicolors sing. 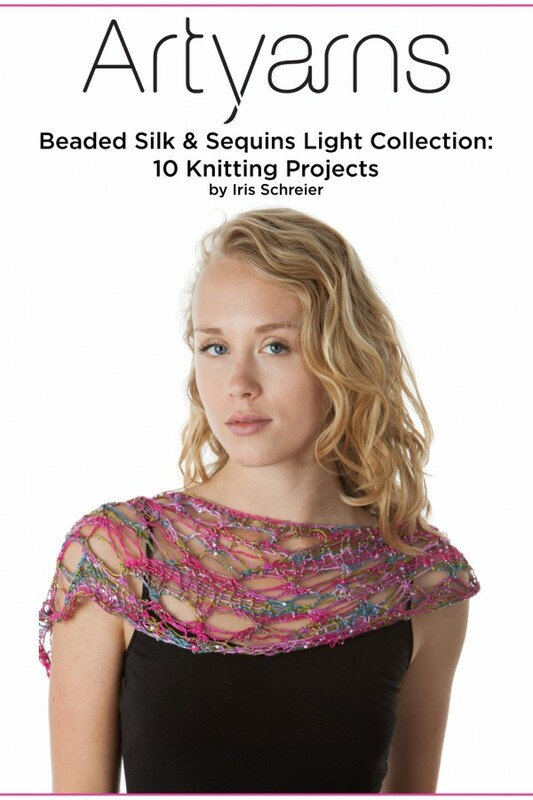 Sarah Abram’s Sigrim is a great one skein project as well. 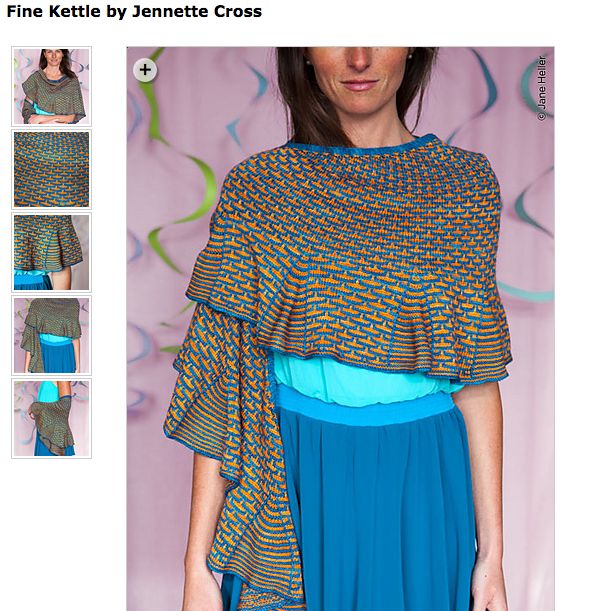 Fine Kettle by Jeanette Cross requires a third skein, but I wear mine all season long. 6) We currently stock Shepherd Sock… increasingly, many of our customers use sock yarn for knitting shawls and other accessories. What type of project do you particularly enjoy making yourself, and love seeing your yarns knitted up as? I always have several projects going at once. Usually one that is simple that I can toss in my bag and go and another that requires a little more attention. I’ve been on a small project jag lately making lots of shawls and socks. But I’m hearing the siren song of the sweater lately. Maybe it’s because fall is right around the corner. Sweaters are substantial and there’s nothing quite having someone admire one and being able to answer “Thanks, I made it myself”. 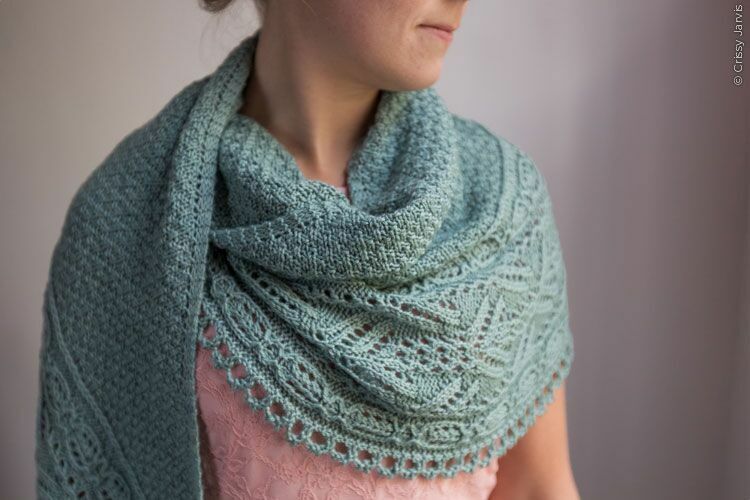 Ripplerock Wrap by Allison LoCicero – knitted in Shepherds Sock, from the latest Twist Collective pattern collection. 7) What was the inspiration behind the brand name Lorna’s Laces? Sorry, I don’t have a good story here… The company was named by the previous owner. 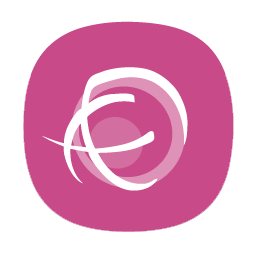 When I bought it, it was an established brand and I decided to leave it alone. 8) And finally, we’re great animal lovers here at Spin A Yarn. Tell us a little bit about Sam! When I bought Lorna’s Laces, my husband and I had two Great Danes, Hank and Pearl. Isn’t if funny that I ended up working in yarn? Anyway, after we lost Pearl, we took a couple of years off. When we decided we were ready for another dog, we decided that we wanted something that would live longer than 7 or 8 years. We also talked about getting a mature dog. One that would be house trained and quiet. We even tossed around the phrase “old and fat”. Well, let me just say that plan didn’t quite work out. We went down to the animal shelter and immediately fell in love with the five month old bundle of crazy we named Sam. 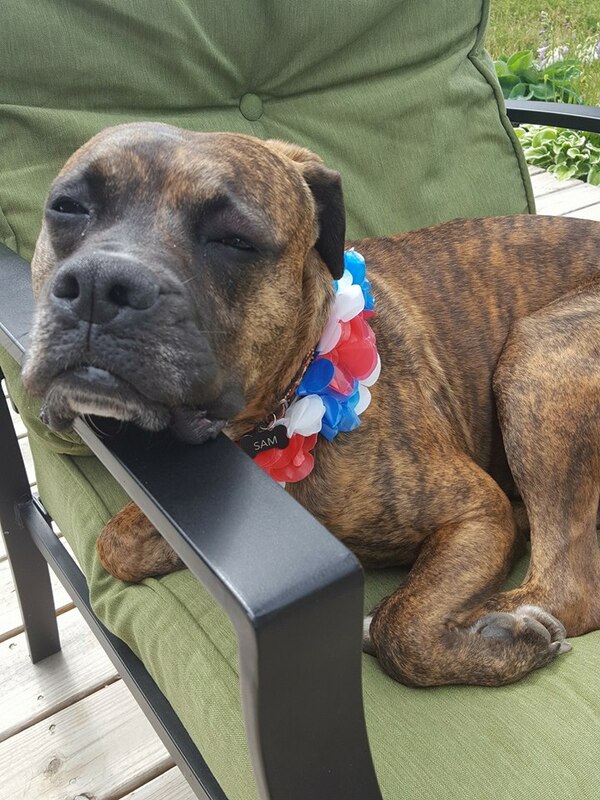 I had his DNA tested and it turns out he’s 1/2 Boxer, 1/4 German Shorthaired Pointer and 1/4 American Staffordshire Terrier. We love him to pieces and wouldn’t trade him for all the yarn in the world. Thank you for answering our questions, Beth!